The second type of horizontal Miss, the first in the chronological order, plays the role of equipped base of high level. 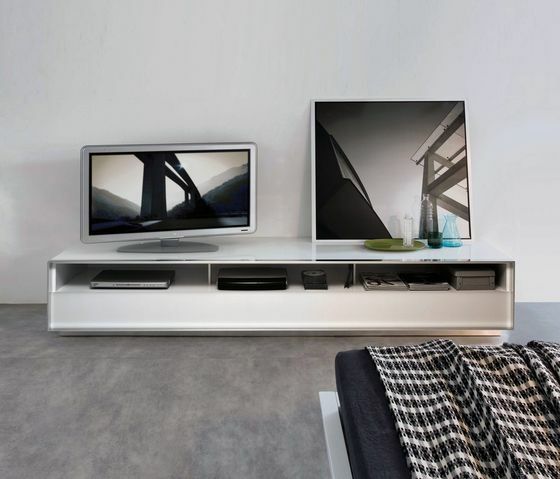 In fact, when the drawer replaces the flap door, this sideboard triples its tasks: storage, support and hi-tech. Visible from the slit in transparent glass, there are the hi-fi units (decoder, video recorder etc. ), that “help” the television above.